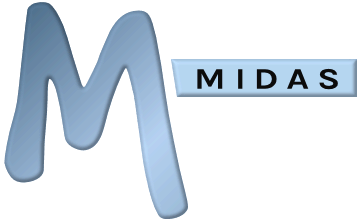 The optional MIDAS API addon allows developers to interface directly with a MIDAS system from within their own web sites and applications. What is an API and what can the MIDAS API do? An API, or Application Programming Interface, is a set of commands allowing developers to interface with other software. The MIDAS API allows developers to interface directly with a MIDAS scheduling system and perform a range of actions. For example, with the API you can retrieve a list of bookings across a specific date range, check venue and resource availability, make bookings, check consumable levels, retrieve invoices, create invoices, and much more! Existing customers running MIDAS v4.03 (or later) can add the API Access addon to their MIDAS system via the upgrade page. New customers may include the API Access addon at time of purchase, or add it to their MIDAS at a later date. Complete API documentation, including code samples, is available both online and offline. We're always interested in hearing developer comments and thoughts on what further functionality and capabilities you'd like to see included in the MIDAS API in a future update, so feel free to drop us an email at api@mid.as. Can I modify the program code to suite my particular needs?